The invasive, toxic plant inconveniently looks like Queen Anne's lace - but giant. Alex Childress, 17, was doing landscaping work near Fredericksburg when he chopped down a large weed, the Richmond Times-Dispatch reports. When doing so, the plant brushed against his face and arm. Unbeknownst to Alex, the plant was giant hogweed, a weed sometimes called the "plant from hell." "The top layer of skin on the left side of his face basically was gone and appeared to be like a really bad burn that had already peeled," his father, Justin Childress, told the Times-Dispatch. As it turned out, the teen had developed second- and third-degree burns all over his face and arms from the hogweed sap. He told People that when he first got in the shower after landscaping, "big chunks" of skin were falling off his face. The severity of the burns meant that Childress has to stay in the hospital's intensive care unit for two days. Though he's set to recover, it could be a frustratingly long process. "I can't go out into the sun for anywhere from two to six months," he told People. "My face could be sensitive to light for a year up to two years." Native to the Caucasus Mountain region in Asia, giant hogweed spread to Europe in the late 19th century and ultimately to the United States via people who thought it made a pretty garden plant. 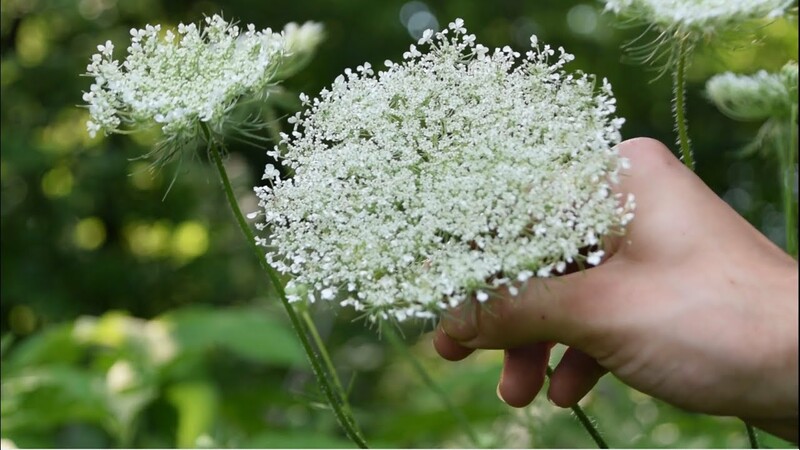 Though its white flowers lead to it sometimes being confused with the harmless Cow Parsnip or Queen Anne's lace ― also known as wild carrot ― there are key differences, including the massive size of giant hogweed, which can grow from around six to 20 feet tall. The Canadian Press reported last summer that giant hogweed is cutting a wider swath in B.C. and Ontario, and the Nature Conservancy of Canada is urging people across the country to document sightings of the towering plant. Dan Kraus, a biologist with the conservancy, said the invasive Asian species likely arrived in Canada in the 1940s and can now be found in areas of the Atlantic provinces and Quebec, and has been spreading in southern Ontario and southern B.C. Kraus said there is also a concern about a loss of native biodiversity, as giant hogweed is an aggressive plant that can outcompete native plants and spread -- especially when it grows near waterways and its seeds are carried downstream. One plant can produce thousands of seeds and they can stay in the ground for years before germinating. The conservancy is asking people to document sightings of the invasive plant through apps such as iNaturalist, which helps scientists understand how the plants are spreading and identifies areas in which they need to be eradicated, he said. Canadians who spot giant hogweed should also contact local parks officials. If you come into contact with giant hogweed, the government of Quebec's health website recommends removing the sap from the skin with a paper towel immediately, washing the affected area with soap and water, removing and washing any clothing, and seeking medical advice.